Last year, Thomas Brush of Atmos Games released the gorgeous indie sidescroller, Pinstripe. 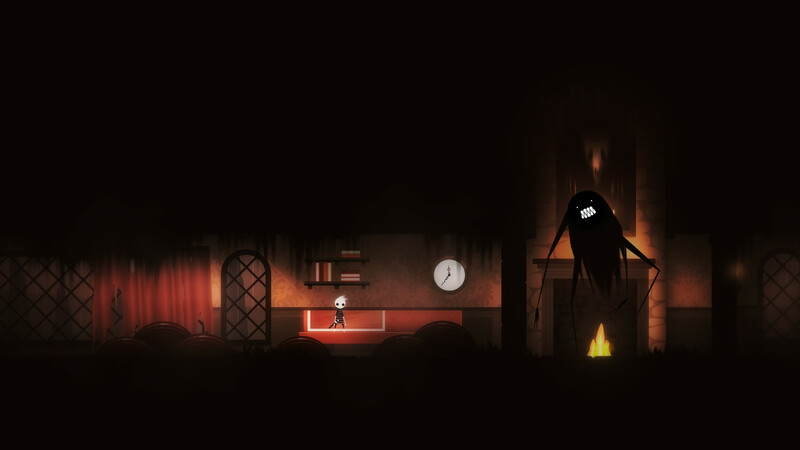 In the game, you play as a minister navigating his way through hell in an attempt to rescue his daughter from the titular villain, Pinstripe. We adored playing through Pinstripe and have since become avid fans of Brush’s work. With our curiosity bursting at the seams, we decided to do some digging into the backstory of Once Upon a Coma. Believe it or not, the development history behind the game extends all the way back to Brush’s high school years. Why did Brush decide to revisit one of his earliest projects, and what can players expect once the game is released? 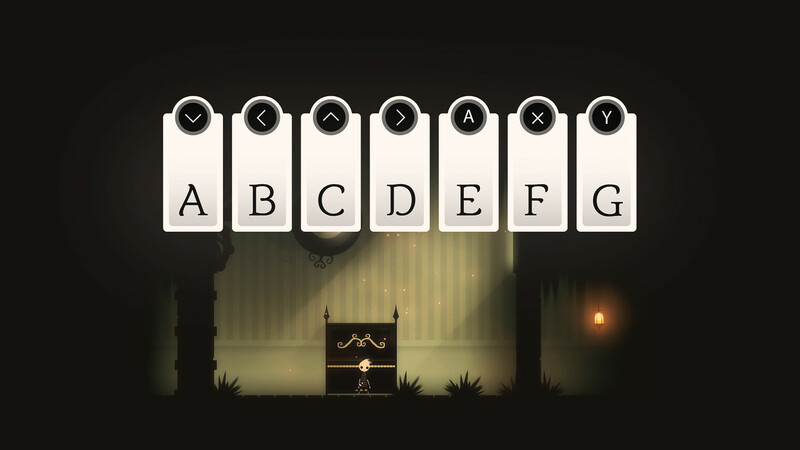 Find out in our latest interview with indie developer, Thomas Brush! Q: What was the main inspiration behind the original version of Coma? A: There was this one game called “Nevermore 3” by Adam Westerman. He’s a really amazing artist, and I was inspired by the art of that game. I was also inspired by classic Legend of Zelda games like Wind Waker and Ocarina of Time. Q: On your website, you mention releasing Coma during your senior year of high school. How did you balance school and game creation? A: I was in a film class for one of my special classes that you can take when you’re a senior and I didn’t have a whole lot of other classes so I spent a good amount of time working on the game in that class. I’m not sure if my professor was cool with it, but that’s what I did. Then at home, if I wasn’t playing in my band, I was working on the game. I specifically remember sitting in bed on my MacBook working on the game. Q: You uploaded Coma to Newgrounds 8 years ago. What was the overall response like at the time? A: It was amazing. It was the coolest thing because I realized at that point that I could actually make games for a living. Coma went viral instantly and all these other websites besides Newgrounds started reaching out to me wanting to do sponsorships. Then a publisher reached out to me and I worked with them as well, so it was really cool. Q: Why did you decide to go back and revisit Coma after all these years? A: That’s a good question. I think it was because I knew it was a good game. Part of the problem with deciding what you’re going to make—especially for bigger projects—is you have to come up with a prototype that works. With Coma, we’ve already got a prototype so I decided to go ahead and do a soft reboot of it because we know that it works and people enjoy it. There are a lot of other reasons, but that’s the main one. Q: In the teaser trailer, there’s a lot of familiar imagery from the original game. Is Once Upon a Coma a remaster, or an expansion on the original concept? A: It’s a soft reboot so it’s a sequel, but a lot of the major elements of the original are still intact. People who play this game don’t necessarily have to know about the original, but it does continue Pete’s adventure. For those who’ve played the original, it continues after Pete is flying through the stars and he’s supposedly woken up from his coma, but things change and there’s a twist. Q: Have new life experiences shifted the way in which you view Coma’s story? A: Yes. I’m about to launch a Kickstarter and I realized there’s a huge theme throughout this entire project that makes it really special. Especially this time around. Basically, I went through a huge period of depression this summer. It was a really dark season of my life, and I really wanted to give up on game development and just quit. I looked back on Coma, people’s comments about Coma, forum posts about Coma, and I realize why I got into game development to begin with. Making Coma is like a renaissance of sorts and a reimagining/rediscovering of my roots. It’s a rediscovery of innocence which is cool because I’m about to have a daughter in January, and it’s crazy because when you know you’re going to have a kid you start to see the world differently. Your lens of the world almost shifts back. It’s a lens with two different colors, on one you’ve got an adult and that’s me currently, then you’ve also got this other lens of seeing the world through what you think your kid sees. So, I’m seeing the world in a more innocent way than I usually have and she’s not even born yet. I’m excited to see how it shifts my work even more when she’s born. Q: I noticed that the art style has changed dramatically between Coma and Once Upon a Coma. Notably, the addition of bright colors and moving scenery. What inspired you to make this change? A: The bright colors are probably going to get dimmed down again. When I feel sad I usually make moodier stuff and it makes me feel happy. For some reason, this summer I needed to make something happy to feel happier. I feel good now, I’m not depressed anymore, and my typical style is re-emerging again so I’m starting to desaturate things and make things a little bit cloudier. But that’s why there’s bright colors currently. The moving scenery is because I have a developer that I’m working with who lives in Denver and he’s a genius. He built this whole parallax system where the camera moves and all the scenery shifts, and that’s just not something I’m really good at. He was able to create the moving scenery, and I’m really impressed with what he did. In terms of inspiration for making this change, specifically with the art style, I’m older now, and it’s been almost 10 years since I worked on the original and you change. I’m interested to see what my work looks like 10 years from now. It’s probably going to be totally different. I’ve grown a ton, and I tried to make the art style look the same but I just hated it. I’d done about 10 or 15 different frames of taking the original artwork and making it look better, and I just scrapped it. I threw it out and started completely fresh with something that really made me feel inspired. Q: How would you describe Once Upon a Coma to gamers who’ve never played through the original version? Would you recommend people play the original Coma before diving into Once Upon a Coma? A: I wouldn’t recommend the original because the goal for this one, and why we’re doing a soft reboot, is to have something that stands on its own. Something that’s fresh and new and takes the good things about the original and expands on them. The way that I would explain this game to people is that the whole goal for Coma (the original one and this one) is patient exploration that's complemented with moody atmosphere. Now, this game has action in it and sword play and there are some hack-and-slash elements. However, the main goal for this game is patient exploration complemented with atmosphere and really pretty music. The most comparable game I can think of that has that is The Legend of Zelda: Breath of the Wild. It’s similar in the sense that it requires the player to be patient and explore, and eventually that exploration is rewarded. But, again, it’s patient. Q: Are there any similarities between Once Upon a Coma and your other game, Pinstripe? A: The artwork is similar, the patient exploration is similar, and the writing of the story and the dialogue of the characters. There’s a good chunk of similarities for sure, but there’s a lot that’s different. 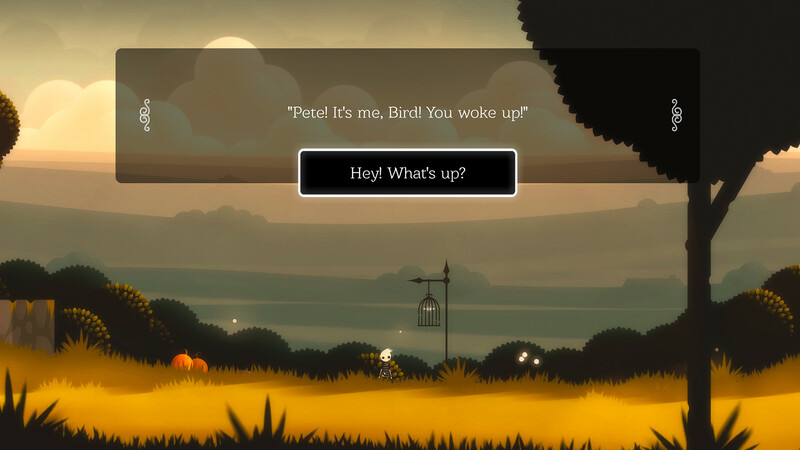 Q: While you acted as both developer and publisher of Pinstripe, Once Upon a Coma features a collaboration with Serenity Forge. Why did you decide to bring Serenity Forge on board? A: Serenity Forge offered to do all of the development work for the game. As you can imagine, especially with 5 years of working on Pinstripe, I was ecstatic. That’s not an opportunity you get very often, especially working with publishers. They don’t always say, “Hey, we’ll do all the development work and we’ll do it completely for free.” That’s what Serenity Forge said. They believed in the project so much they said, “We’re going to let you work with our team for as long as you want to work with them and they’ll build out the game. All you have to do, Thomas, is more of the art stuff.” I do the illustration design, the music, and the story and they’re doing the development which is so cool. The developer’s name is Erik, and I’m really lucky to work with Erik, because he was a fan of the original game and he’s keeping me grounded in this new game. He’s reminded me multiple times not to get too bogged down with complicated gameplay mechanics and trying to be unique or different. Rather, focus on what made the original game special and expand that. Not only is Erik a great developer, he understands what makes Coma special and I definitely need that kind of personality working with me on this game. Q: In the teaser trailer for Once Upon a Coma, fans were extremely excited to hear the Red Wind Theme again. What was it like to revisit your old music and sound design? A: It’s so hard to take a song I wrote almost 10 years ago and revisit it because it’s not interesting to me anymore. It’s kind of like being married. After 10 years of marriage, the things that you originally fell in love for might be a little bit different 10 years later. I think that’s true just because you’ve grown as a person, and for Coma, I totally feel like the song that I wrote 10 years ago is just old. I originally didn’t even rewrite the Red Wind Theme, I just said I’m going to scrap the Red Wind Theme. I launched a small teaser and it had a new song in it and the only comments that were available in the YouTube comments section were, “Where is the Red Wind Theme?” So, I knew that I couldn’t just get rid of it because people loved it. I spent 2-3 weeks rewriting that theme and I had all these different variations and you’ll hear some of those variations in the game. Then, I finally just re-recorded what I had written; same notes, same instrumentation, and added to it to make it more fitting to the style of this game. This game is a little more Tim Burton, a little more classic old-school Disney movies, and having things like harpsichords, more treble in the harp, and also more trumpets and horns made more sense for this version because it worked with the visuals. Q: Finally, what inspired you to continue the pursuit of indie game development during your summer depression? 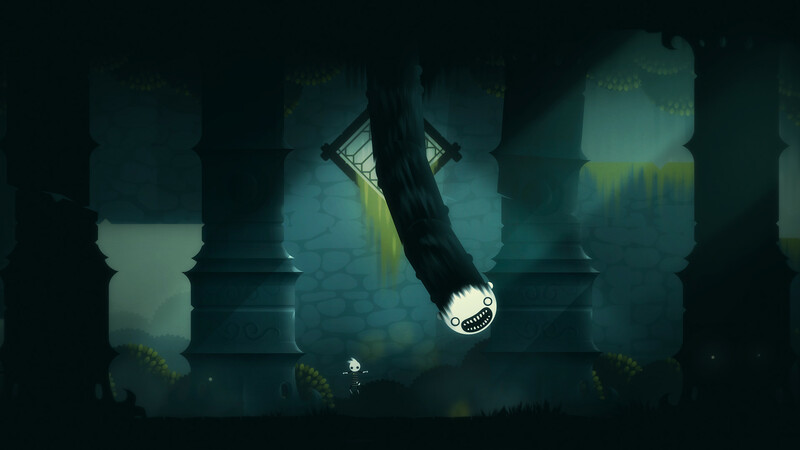 A: I think after Pinstripe was launched I was burnt out and I really didn’t want to make games anymore. Some mornings I get up and I don’t want to make games. I think what pushes me forward is the fans. If I post something on Twitter, Imgur, YouTube, or Facebook I get responses of people encouraging me, pushing me forward. This is the first time I realized it, but the reason I keep making games is because the select few comments that are really encouraging. People say that my work affects them and changes them and helps them see the beauty in life. I don’t always feel that way about my own work, but when I get to read comments from people, it reminds me of why I do what I do. It sounds really cool to be a game developer, it sounds like the coolest job ever and it is. It is really cool, but there’s a war in the imagination space. In the creative world in my mind there’s a constant war going on of ideas and conflicting emotions; confidence vs. insecurity, thoughts on money, and how to best grow a family and pay the bills warring with this idea of creative liberty. Doing what I love just because I love it and no other reasons. That war wears you out and it makes you just want to quit. Continuing indie game development, especially in this market, is exponentially increasing in difficulty when it comes to making a splash. I’ve got indie developer friends who worked their butts off on projects and it sort of fizzled. It totally is undeserving, but it’s such a crowded market. All the crappy games and all the good games are all together in one big pile and it’s hard to distinguish which ones are good and which ones are bad. Suddenly you have this massive problem of exposure. That said, in hindsight I’m not surprised that this summer I wanted to quit. I’m grateful to fans and to friends who’ve reminded me why I do what I do, and that’s what Once Upon a Coma is all about. It’s a reminder of why I make games. It’s kind of like waking up. 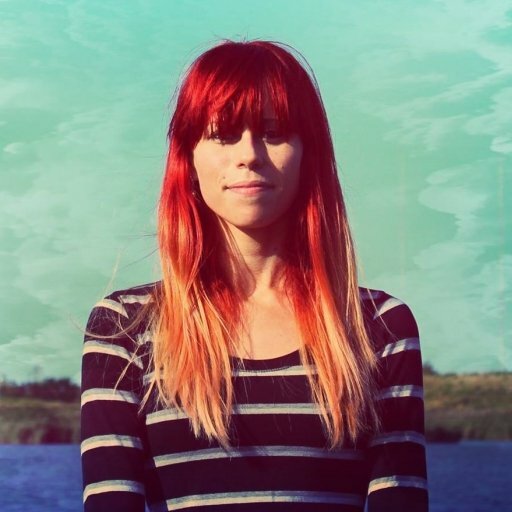 The whole theme of Coma is about waking up. From my perspective, the game for me is about me waking up. Waking up from a nightmare of sorts and remembering why I love to make games, and I really do love making games. We want to thank Thomas Brush for taking the time to answers these questions, as they really helped us gain new insight into what Once Upon a Coma is, and how it was brought to life. If you're looking to learn more about Once Upon a Coma, be sure to check out the official Atmos Games website and wishlist the game on Steam. To stay up-to-date on when Once Upon a Coma will be released, be sure to follow Atmos Games on Twitter, Facebook, and YouTube.